The Ponca City Public School district has revised the 2018-2019 school year calendar by reducing the number of instructional days from 170 to 167. The last day of school will change from May 23 to May 17, 2019, and teacher checkout will occur on May 21, 2019. Snow day #1 will move from May 3 to May 20, 2019. 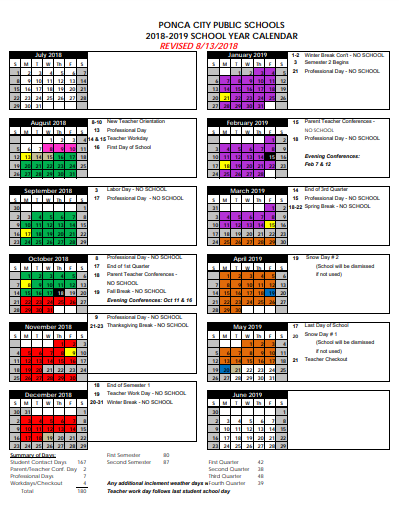 A copy of the revised calendar may be found on the district website at www.pcps.us.